Hard boiled eggs are just the perfect touch to a nice fresh salad. But making them can be a pain sometimes. I read in an old book about a method of keeping eggs from breaking and leaking while you hard boil them, so I had to give it a try. There is an air bubble inside eggs that, when heated, can expand and cause the egg to crack and leak. Well, say goodbye to those leaky cracked hard boiled eggs! Just add a tablespoon of vinegar to the water before you start to boil the water. Add the eggs, turn up the heat, and boil the eggs as you normally would. Is there anything Vinegar can't do?? Seriously... I'm starting to wonder. 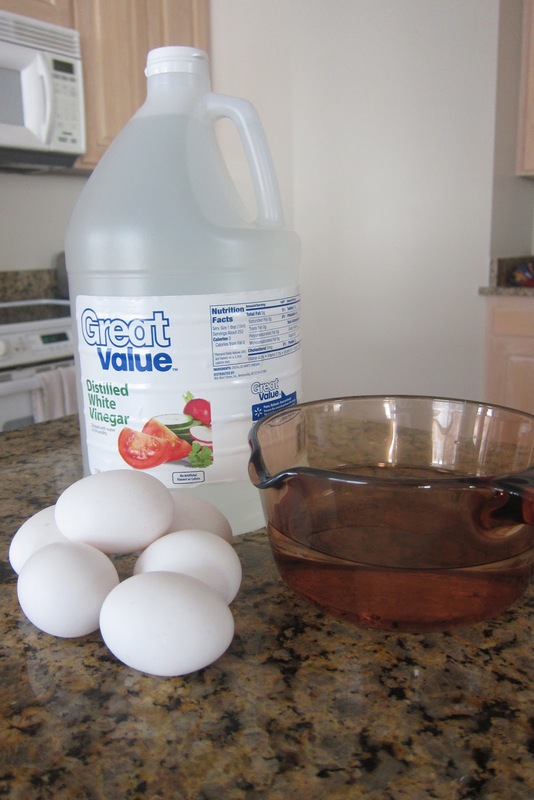 Oh, and vinegar is a natural deodorizer, so since you are boiling vinegar in water, you are going to smell the vinegar and not the eggs. Also try and keep the vinegar water boiling after you remove the eggs to help keep the egg smell away while peeling. Let me know how that goes :) Enjoy!